ST PETERSBURG: Every kid in England is checking out the record books or busy googling. Gareth Southgate’s team has just walked into the Round of 16 and in the storied history of the World Cup with a 6-1 snubbing of Panama, whose qualification from the group that failed United States raised many eyebrows and a few winks. In the qualification battle, the US had beaten Panama 4-0 in the return leg after being held to a 0-0 draw. 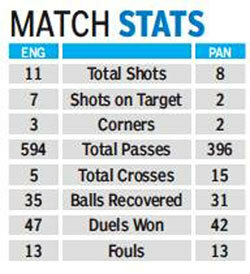 At the Nizhny Novgorod Stadium, under balmy conditions, England went on a goal-scoring spree that made Panama look like an uninvited guest at an oligarch’s yacht party. As John Stones headed in his first England goal, little did the Central Americans know what suffering they would be subjected to. 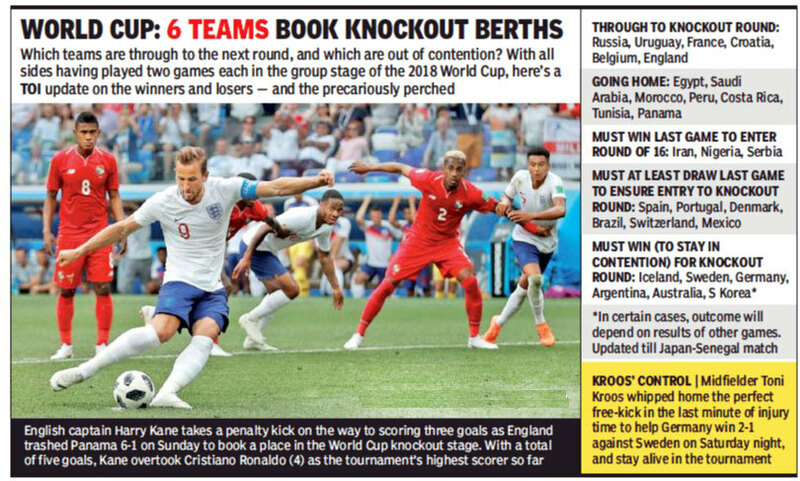 Stones added another and Harry Kane completed a hat-trick to become the top scorer of the tournament with five from two games before Southgate sent him for an early shower to keep him fresh for tougher battles ahead. In the process, the Tottenham Hotspur striker matched his two illustrious predecessors – Geoff Hurst and Gary Lineker – who never had Panama for breakfast. “First time in a long time since we’ve seen a hat-trick from England player in the World Cup, delighted for Harry and the team,” tweeted Hurst. Lineker, the last English striker to score a World Cup hat-trick in 1986, echoed similar sentiments. Two of Kane’s goals came from penalties after the Panama defence forgot that it was football they were supposed to play and not rugby scrum when a corner is taken. Weakness in defending the set-piece became their primary failing as England improved their goal difference ahead of their last group game against Belgium. England went into the breather 5-0 ahead, with two each from Stone and Kane and a blinder from Jesse Lingaard. The fate of the contest was sealed. The second half lacked intensity but for Kane’s hat-trick goal as Southgate opted to ring in the changes to give his bench a taste of the occasion. Panama too had something to cheer in the dying minutes as they scored their first goal in the World Cup finals. Felipe Baloy, the oldest member of the squad (37 years, 120 days) and wearing the captain’s armband, slid in to turn the ball home.